"I wanted to capture all the joy and charm of an old-fashioned Christmas. Quickly, my mind traveled to one of my favorite places, Cape Cod. I've visited the Cape in just about every season but winter. 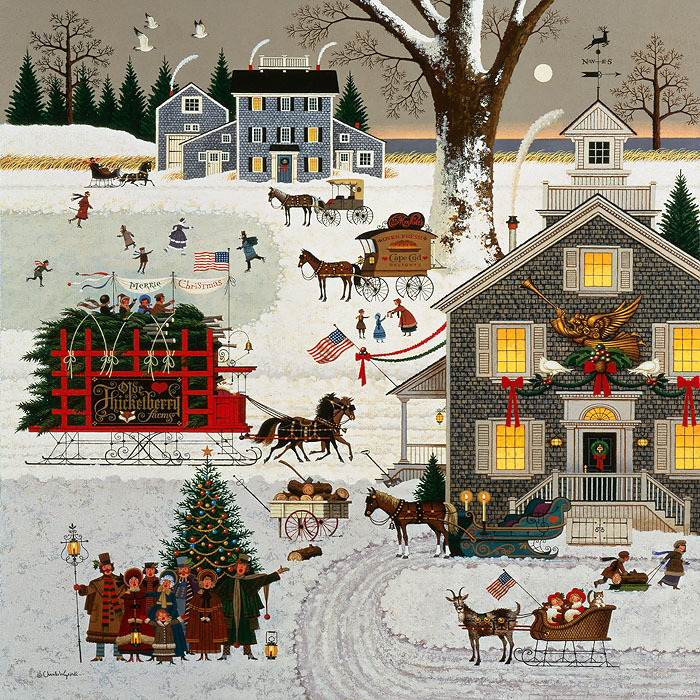 Using my experiences as reference, I wondered just what a Christmas on Cape Cod would look like. The result is this work that I hope will extend the feeling of the holiday season to all the seasons year 'round."